Way too long ago now, I really should have written this sooner, we went to the Trafford Centre for the day. We combined visits to Sea Life and Legoland that are both situated in Barton Square. The Trafford Centre is easy to locate from the motorway, with free parking but also has very good public transport links to it. Barton Square had a beach set up and fairground rides when we visited but I am assuming these will be changed seasonally. When we first arrived there was a short introduction from a woman who really got the children and parents involved and then we went through and queued to go on the Kingdom Quest ride. The ride takes you on carriages to rescue the captured Princess. Armed with remote controlled guns, we battled through the trolls and skeletons to zap them away. Following this we went into the Miniland. 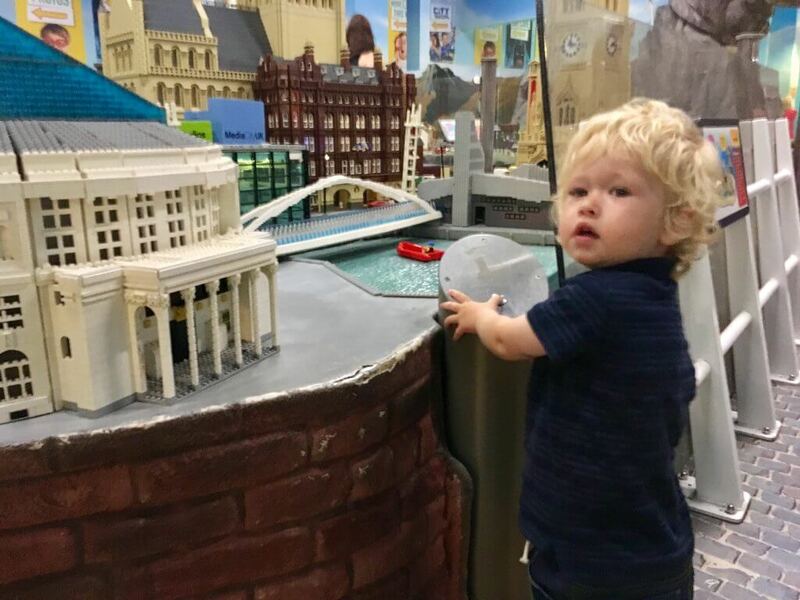 As you walk through Miniland you can explore and play with the interactive displays that use over 1.5 million bricks! There are an array of various cities and sets that include moving figures, sounds and lights that the children can control. There is also a 4D cinema where you can watch their 3D film featuring Emmet, Wyldstyle, Benny, MetalBeard and Unikitty change into a 4D film right in front of you. I absolutely loved this, it was a great break from charging around with Lego pieces and the effects where immense including rain, wind and snow coming onto you during the film. 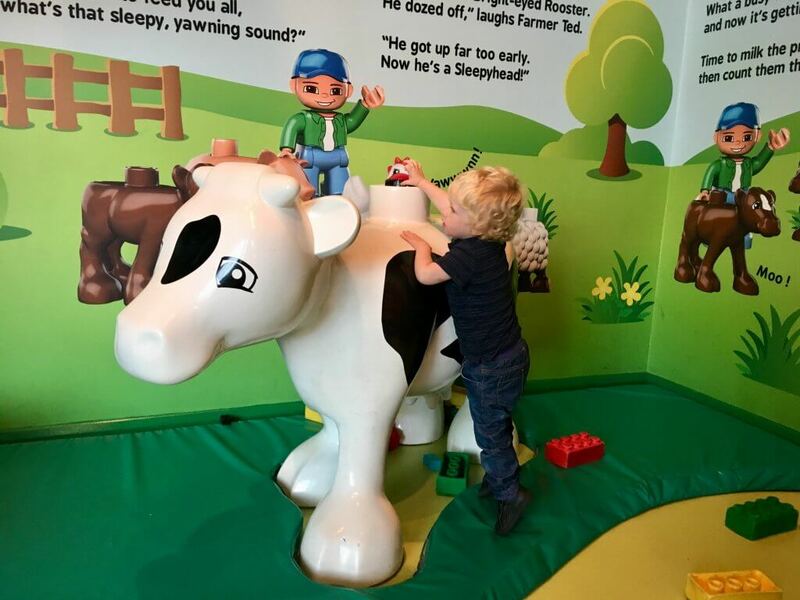 The centre area of Legoland is an array of Lego blocks, ramps and accessories for little builders to build and play to their hearts content. Lucas enjoyed making cars and racing them down the ramps. There is also a Duplo Farm with bigger Duplo blocks perfect for toddlers. Lucas liked exploring the farmers house and going down his slide. There is also a room where workshops take place throughout the day, a laser area, a soft play area and a couple of more rides that were suitable for older children. There is also a cafe so you could easily stay in for the full day. 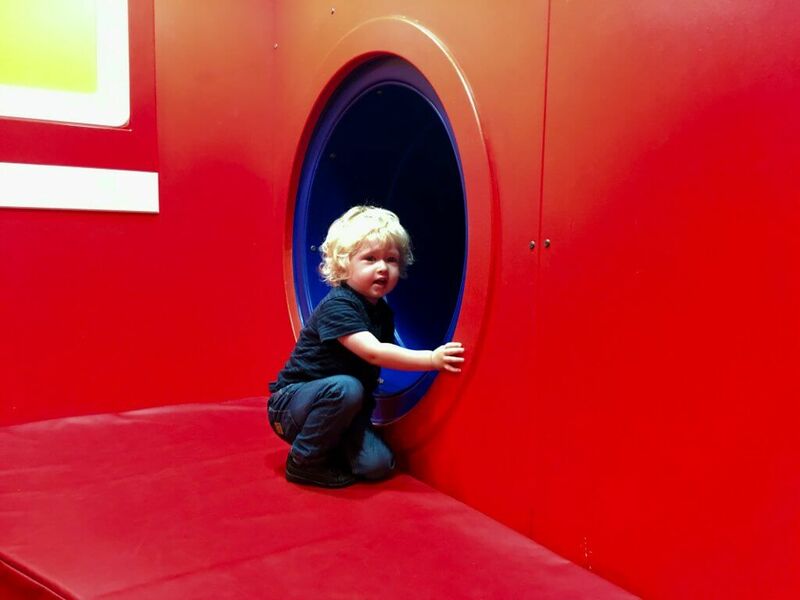 We have been thinking about visiting here for a while as it looks perfect for toddlers and slightly older children (I have a 2yr old and a 7yr old). Was it easy to get from the city centre to Lego Discovery? I should really get round to visiting Legoland sometime. It looks fun for both kids and adults alike! Wow! This legoland looks so amazing and looks so fun! My daughter loves lego so i am excited to see this with her. 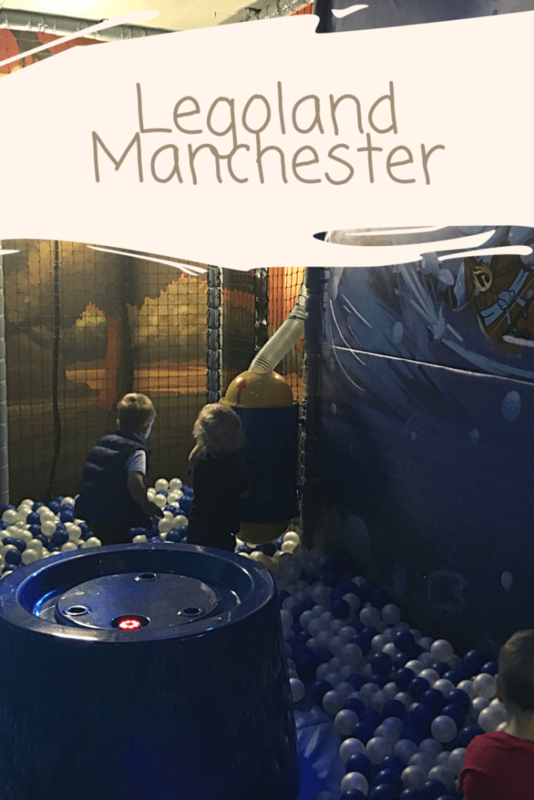 We live next door to Legoland Windsor but have heard so much about Legoland Manchester – fingers crossed we’ll get there one day! We took our tot there a few months back and even though he was only just 2 at the time, he absolutely loved it. 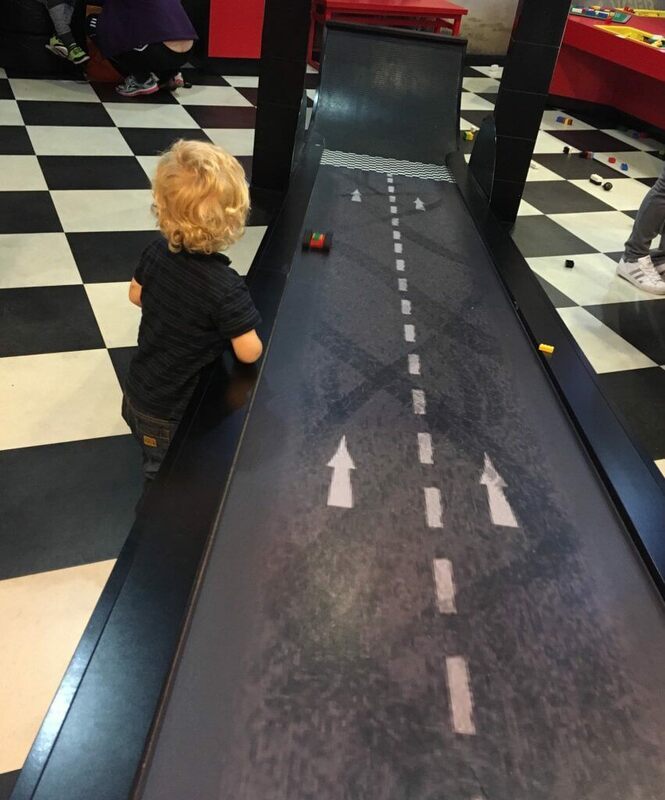 The car racing ramps in particular were a huge hit! Wow, this looks like great fun! I’ve always wanted to try Legoland, now I think that I must take my girls there! Oh my kids would love it here, they are lego obsessed at the moment – I just need to find an excuse to travel up north! 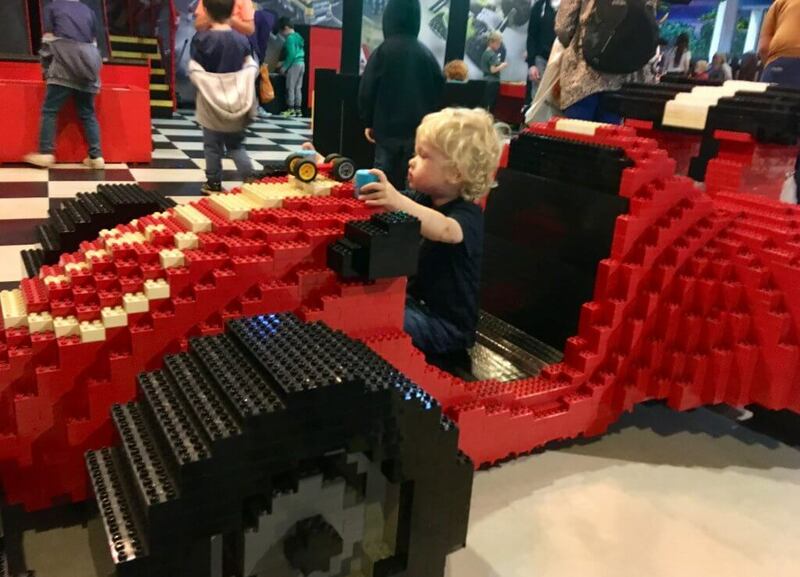 We love being so close to Legoland at the Trafford Centre – really good to visit when you need a break from all that shopping. We always laugh at how excited all the Dads get when they are in there!